The Samsung Electronics booth at CES is always quite impressive. It's a large booth with impressive visual displays. This year they outdid themselves as they introduced The Wall. 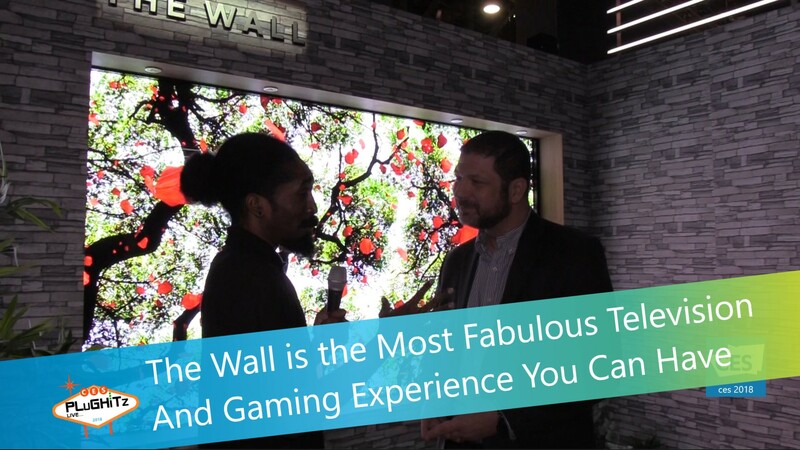 The Wall is the world's first consumer, modular, self-emitting MicroLED 146-inch TV. This is brand new technology with pixels that are self illuminating, based upon existing Large Format Outdoor Digital Display technology. This has allowed an unbelievable 4k television for the home. The features are amazing. It can go to infinite black, has High Dynamic Range and brightness levels and contract that are unmatched. All of this with no image retention and no off angle viewing. The name, The Wall, is no stretch. At 146 inches, it was probably the most impressive visual in Central Hall this year, with the largest crowds in the building. But don't let the size intimidate you. After all, it is modular. It's comprised of a series of smaller screens, or tiles, that mesh together with no seam. Not only does this open up the possibility of multiple configurations in the future to fit any home/lifestyle, but it also makes delivery and setup much easier. If you live in a building with a small elevator or staircase, or would have trouble getting such a large box into the right room in your home through hall and doorways, there's no concern with that here. Each piece is brought in separately and assembled in place, thus opening up this wonderful technology to more consumers. This large and impressive screen array has an incredible picture and would be a gamer's dream. Although it would most likely take some getting used to, we're sure that all the gamers we know would love to take a crack at it. This is concept that is not lost on Samsung, who is already partnering with Xbox.